Bounce TV, the fastest-growing African-American (AA) network on television, today announced the launch of a free mobile app which will allow access to a wide variety of its popular programming anywhere, anytime. The Bounce TV app features full seasons of Bounce TV's original series, including hit shows "Saints & Sinners," "Mann & Wife" and "Family Time," blockbuster movies and exciting fights featured in the network's "Premier Boxing Champions – The Next Round series." The Bounce TV app is now available for free in the iTunes App Store for iPhone and iPad and in the Google Play Store for Android phones and tablets. 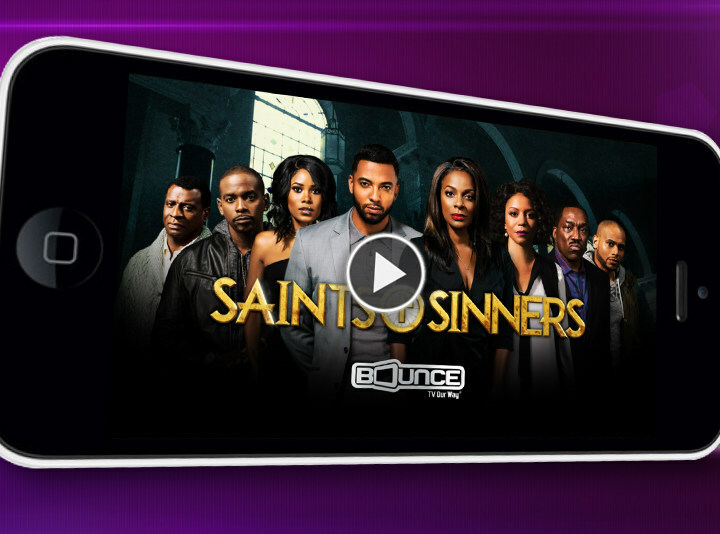 "With millions watching each week, the premiere of 'Saints and Sinners' has driven demand for Bounce TV's original programming to an all-time high. Despite this record-breaking ratings growth, there are still services like DirecTV and Dish that are behind the times and undervalue African-American consumers by not offering Bounce. The Bounce TV app complements our existing viewership by expanding the network's available audience base and giving everyone access to our programming," Jonathan Katz, Chief Operating Officer of Bounce TV, said. 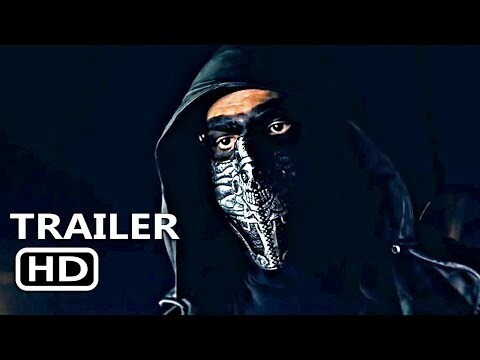 Saints & Sinners - Bounce TV's new mega-hit drama series centering around the pursuit of power, intertwined with greed, deception, corruption and murder – all set against the backdrop of a large southern church. Mann & Wife - Real-life husband and wife team David Mann (House of Payne, Meet The Browns) and Tamela Mann (Madea's Big Happy Family, Sparkle) star and serve as executive producers of this hilarious comedy whichfollows newlywed, second-chance sweethearts as they laugh and love their way through the ups and downs of life as a blended family. Family Time – Popular half-hour sitcom chronicling the relocated-to-the-suburbs Stallworths family, headed by dad Tony (Omar Gooding), a struggling general contractor, and his wife Lisa (Angell Conwell), an unfulfilled stay-at-home mom. In The Cut – Dorien Wilson (The Parkers, Dream On) stars in this comedy series as barber shop owner Jay Weaver who also co-owns a beauty salon with his ex-wife a few doors down; Ken Lawson (The Parkers) plays his illegitimate son who shows up out of the blue one day. Off The Chain – Bounce TV's high-powered stand-up show featuring some of the most hilarious African-American comedians on the scene; Rodney Perry hosts. One Love - Follows the hysterical adventures of Pastor William (Mark Curry, Hangin' with Mr. Cooper) and Carolyn Winters (Sheryl Lee Ralph, Moesha), the first family of Mt. Sinai church. My Crazy Roommate – Another funny Bounce TV sitcom, this one about two young women from vastly different backgrounds who are forced to live together while on a crusade to find fame and fortune in Hollywood; Laila Odom and Brittany Richards star. Episodes of popular game shows "The Newlywed Game" and "Catch 21" are also available on the app. Other features include users being able to access the network's programming schedule and set calendar reminders so as not to miss favorite shows, movies and events. The app also provides Bounce TV's network local channel information for wherever the user is at the time. Bounce TV airs on the broadcast signals of local television stations and corresponding cable carriage. The network features a programming mix of original and off-network series, theatrical motion pictures, specials, live sports and more. Bounce TV has grown to be available in more than 93.5 million homes across the United States and 93% of all African American television homes, including all of the top AA television markets. Among the founders of Bounce TV are iconic American figures Martin Luther King, III and Ambassador Andrew Young.